Go deep behind the scenes of one of the world's top celebrations by taking the Mardi Gras World tour. For over half a century, Blaine Kern Studios has crafted breathtaking Mardi Gras floats. See some of their most compelling creations, while learning about the history of this festive tradition. Get an up-close look at the artisans behind the spectacular floats and explore the intricacies and labor behind this fascinating enterprise, which has become a part of the city's fabric. Open 7 days a week, from 9:30 a.m. to 5:30 p.m.
What is the best way to get to Mardi Gras world? 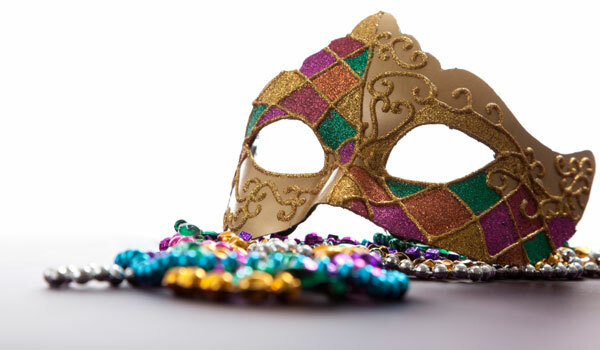 Since parking can be somewhat difficult to find, guests are encouraged to take advantage of Mardi Gras World's complimentary shuttle service, which provides designated pick-ups downtown and in the French Quarter. Although there are no prearranged pick-ups, you can call 504-361-7821 once you arrive at a designated pick-up area. How often do tours happen? New tours begin every half hour and last about an hour. Tours begin at 9:30 a.m. and the final tour starts at 4:30 p.m. Mardi Gras World is open every day, except Christmas, Thanksgiving, Easter and, of course, Mardi Gras Day.